The chakras system—the energy system of the body—is complex. Experts say we need to work with each of the main chakras carefully. We begin at the base of the spine with the root chakra. Rooting in yoga creates a foundation from which we build stability and strength. From there, we can focus on increasing other energies. The root chakra is called muladhara in Sanskrit. 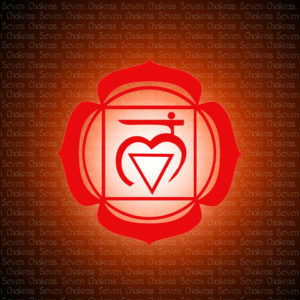 When the root chakra is open, we feel grounded, stable, and secure. Whether you take this literally or not, yoga offers tools for helping to increase a yogi’s sense of security. If you’re feeling insecure, you may need to focus on rooting. Grounding yoga poses are great for establishing physical stability. Notice when your teacher tells you to “root into the ground.” You may be in downward dog, tree pose, or even headstand when this cue is given. Remember, too, to concentrate on the root lock, called mula bandha. Mula bandha is the first of three energy locks in the body. Engage it by contracting the pelvic muscles. This protects the lower back and gives you stability and strength from the root. When we talk about rooting in yoga, we’re not just concerned with the physical body. We also need a stable, secure mind. Meditation is one of the best tools for this, of course. You can practice a root chakra meditation specifically for muladhara chakra. Sit comfortably as you would for any meditation. Take slow, deep breaths into the belly, and move the breath all the way down to the tip of the tailbone. Engage mula bandha, keeping the contraction and awareness as you continue to breathe in and out deeply. Colors, aromas, and sounds help open blocked energy and balance the chakra system. The colors of the chakra system correspond to the colors of the rainbow, starting with red—the color of the first chakra. Many yogis say wearing red clothing helps foster a sense of stability and security. Chanting is another tool for balancing the chakras. Each energy center has its own sound. For the root chakra, the sound is lam. You can practice a simple mantra meditation for the root chakra by repeating lam until you feel grounded. You can also try aromatherapy targeted to first chakra energy. Use grounding aromas like sandalwood and cedarwood as well as calming scents like frankincense and patchouli. Remember the first chakra is part of a whole energy system that creates an integrated being. Each energy center has a role in your overall physical, mental, and spiritual health. When the root chakra is balanced, your needs for security are met. If it is out of balance, you may be unable to meet basic needs for money, shelter, nutrition, or safety. You may also feel emotionally or socially insecure. Without a strong root, you’ll have difficulty with the rest of the chakras. This makes sense, of course. When your basic needs aren’t met, you may be distracted by anxiety and fear. It can be hard to pay attention to anything else. Of course, yoga alone won’t bring you financial security or physical safety, but it can you get in the frame of mind necessary to do what you need to do to become more secure. You can use the tools of rooting in yoga when you need to create or re-create a firm foundation. Rooting in yoga also helps you trust your innate ability to tap into the power to find what you need.